My training lately has been solid. I had planned to run the Boilermaker 15K this coming weekend, but due to various circumstances, we ended up selling our bibs. Now, I'm running consistently . . . but with no real race until October. I didn't try any strength that first week back after being sick, but even just one day of kettlebells last week was tough. I'm hoping to take a class at our gym which is 45 minutes long, twice a week -- hopefully other people and a scheduled time will motivate me to stick with it. Mileage-wise, it has taken me a really long time to push past 20-25 miles a week. When I was breastfeeding, I felt the energy was literally sucked out of me several times each day -- and running 4 times a week was a gigantic accomplishment. Then, I got used to running 4 days a week because it allowed my body to rebound and avoid injury. Now? I'm feeling strong and, all of a sudden, ready for more. As I prepare for pregnancy with number 2, I'd like to develop a bigger base, too. So, I've been experimenting with 5-6 days a week and -- so far -- haven't had any issues. I have been making sure to increase weekly mileage slowly from week to week and am thinking I will likely top out around 30-32 miles this coming week. The heat + humidity has played a major role, but not necessarily in a bad way. Make no mistake: I HATE summer running. But it forces me to slow down most days and run my hard workouts hard and the rest at much easier paces, which taxes my body less, too. 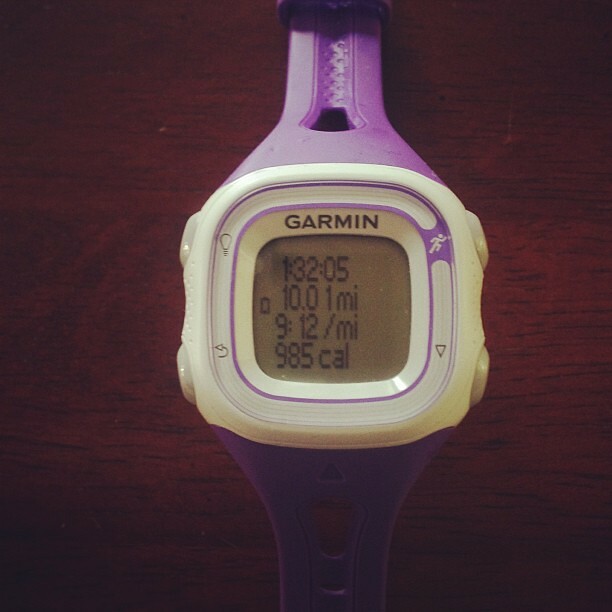 >> Take yesterday's long run -- 10 miles at 9:12/mile (as logged on my Garmin 10). Usually I run my long runs between 8:15-8:30/mile, depending on distance . . . but with the humidity, I just went along at what felt comfortable. 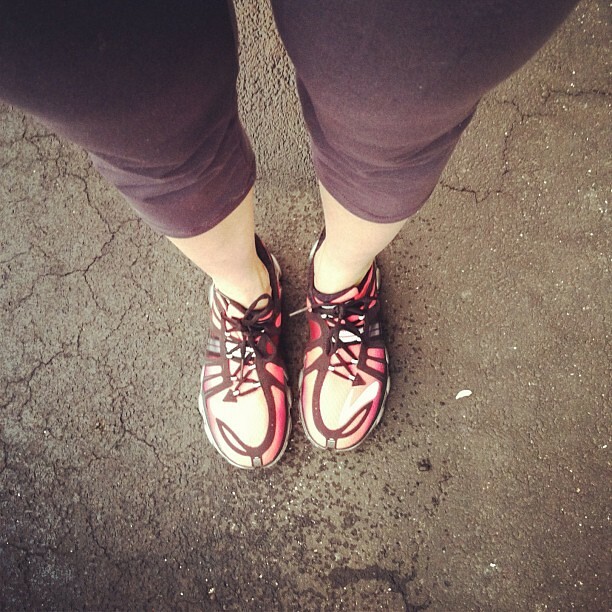 >> Today, I was able to go out and run a shakeout run without any aches + pains + tiredness. Yet, I was also able to show my speed on last Monday's 5K hard effort with 7:37/mile. I've never been one to go as easy as I should on maintenance days, so learning how it works, when to hold back, and when to go fast has been a big step. Have you been doing anything new with your training? Like what you just read? Browse more of our posts + recipes on Pinterest. Or follow us on Twitter or Facebook to be the first to know what the (never home)makers are up to. And we’ll love you forever!